Long-time visitors to Niseko will remember the Scot Hotel, which sat prominently above the Hirafu Welcome Centre, with the King Pair lift almost on its doorstep. 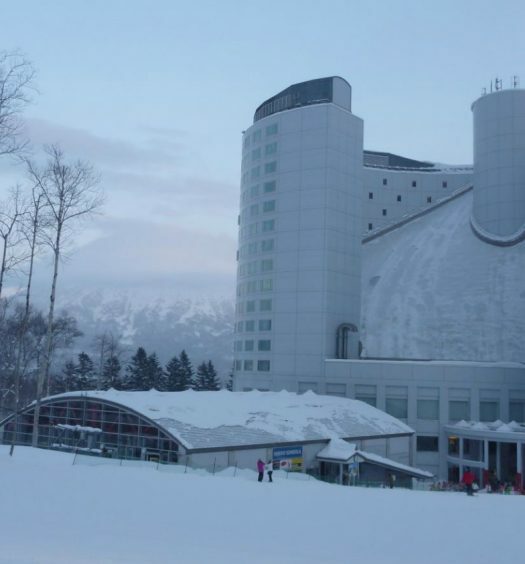 It was a Niseko landmark, and one of the resort’s true ski-in ski-out properties until its demolition in 2011. 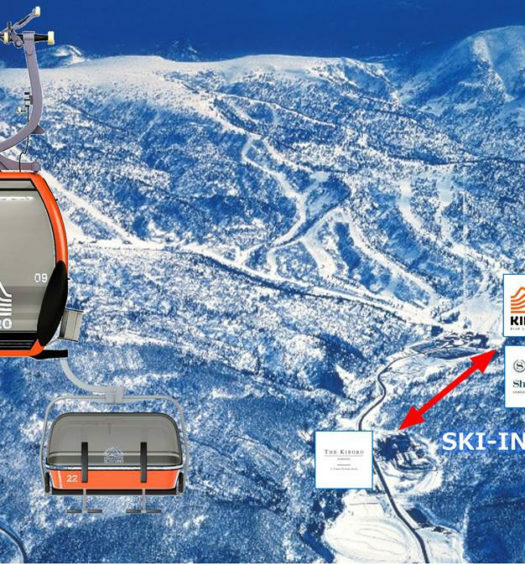 In winter 2018/19, Skye Niseko will open on the same plot of land the Scot once stood, the first commercial venture in this space in more than seven years. At a time when development at the resort is booming, it feels like a fitting beginning to what many will see as a new era in Niseko. In every way possible, Skye Niseko embodies the new version of Niseko. It is sleek, stylish, modern, and will be fitted with every conceivable creature comfort one could imagine (even a float tank). But while the hotel’s many luxuries will stand out as talking points, it is the landmark location that really sets it apart from the rest. It does – let’s not forget – sit at the foot of one of the world’s best powder destinations. And yes, there are other hotels in Niseko that can reasonably print “ski-in ski-out” on their brochure, but none can boast Skye’s unique location. It sits on its own and higher up than any other accommodation, offering guests a ski-able route to several different lifts. For avid skiers looking to beat the morning rush, this is a massive advantage. Of course, the quality of the hotel looks to be absolutely befitting of its premium location, which is not a surprise. Relaxation and well-being are very clearly a focal point; the Ryko spa will offer world-class massages and an immersive float tank experience, while guests can also choose from a shared onsen (hotspring) with sauna or one of three private onsen. The perfect fix for tired muscles at the end of a day on the slopes. Skye’s in-house restaurant, Kumo Restaurant, continues the Niseko trend towards high quality dining, describing itself as “Japanese soul-food by day, a dazzling Hokkaido izakaya by night”. Head Chef Kiyoshi Burgess brings with him a track record in some of the world’s top establishments, including Zuma (London), Shunju (Japan) and Bone Daddies Group (London). There are also services to ensure that every other holiday detail is taken care of: private ski valet, ski rental facilities, café/deli, alpine shop, gym and private shuttle bus. These days, the news of a hotel opening in Niseko is often drowned out by the sound of an even newer one being built. Skye Niseko, though, will dramatically change the landscape, and fans of the resort should take note. This is the new way to ski Niseko. For a limited time, Skye Niseko is offering readers FREE nights on January 2019 bookings. Visit the Skye Niseko website for details and more information on the hotel.